Learn to code with 5 levels of web, app, and game development. Start your coding journey. Learn about coding and the programming industry with Mammoth Interactive CEO John Bura. Learn to enter the coding field with smart marketing and networking skills. App developer Nimish Narang teaches you how to code in Java 8, currently the most widely used language to make apps for Android™. You build apps for Android and iOS. Learn to code in Swift 4, Apple's official coding language for iOS app development. You’ll learn to make projects for both for iOS and Android. As an app developer this is a powerful skill. Today’s smartphone users are split between iOS and Android, and you’ll learn to develop for both. Build apps like a finance calculator for the web and a weather app. Learn the most popular and FREE program for game development. Game developer Glauco Pires teaches you how to use Unity® to build complete games from scratch. Our artist Kevin Liao teams up with Glauco to take you through coding and designing 3 complete games from scratch: a Flappy Bird clone, Angry Birds and Air Hockey. Learn to useBlender, Adobe™ Photoshop™ and Adobe™ Illustrator™. Learn stock market prediction, image recognition, and credit card fraud detection models! Apply data analysis and machine learning tools with data scientist Max Schallwig. Code in Python, a popular language used for YouTube, Reddit and Instagram. Access the powerful tools of TensorFlow, the software library for Machine Intelligence. Can’t get enough? Included for FREE is the equal value Hello Coding – Bonus Topics. Access amazing topics to build more games, apps, and websites. Learn powerful advanced tools. Get double the fun in this two-for-one deal. Feeling stuck in life? Maybe you're working three jobs to make ends meet. I'm sure you've heard how much developers make these days … Want to get in on that action? We at Mammoth Interactive are excited to launch our course series Hello Coding: Anyone Can Learn to Code. This series has five levels that take you through a holistic curriculum of development curated by speicalists in the fields. In Hello Coding, students learn web, app, game, and Artificial Intelligence development. With our tutorials, you follow along with your instructor to make apps, sites, and games from scratch. Whether you want to code to train your brain, release your creativity by building your own game, or learn to make websites to better your resume, you can do it with Hello Coding. We design our tutorials for people with NO EXPERIENCE. In a Mammoth Interactive curriculum, you get as much useful information as possible from every minute. No longer do you need to spend time putting together knowledge from YouTube videos. We've curated what you need to know. What's great about online learning is that there are no deadlines or stress. You can speed up or slow down videos. Completing a project takes a lot of work and time, and with Hello Coding you can work at your own pace. Coding bootcamps don't work for everyone. Why spend money when you can make money? Save thousands of dollars, and make thousands of your own. Beginner's Guide to Elm Programming. Build Web Apps! Android™ Studio. Oracle and Java are registered trademarks of Oracle and/or its affiliates. Xcode, which requires Mac® for bonus sections. Mac and macOS are trademarks of Apple Inc., registered in the U.S. and other countries. Mammoth Interactive has been contracted to produce epic soundtracks, addicting levels, rock solid programming and business development. You'll join 400'000 students in 183 countries. All Mammoth Interactive instructors are experts active in their fields. We teach AND perform, producing games like Escape Code - Coding Adventure. "I absolutely love this course. This is such a comprehensive course that was well worth the money I spent and a lot more. Will definitely be looking at more Mammoth Interactive courses when I finish this." – Student Matt W.
"Very good at explaining the basics then building to more complex features." – Student Kevin L.
Anyone who wants to learn to code. Anyone who wants to get creative by building a game. Anyone who wants to build websites to better their resume. John Bura is the founder of Mammoth Interactive. 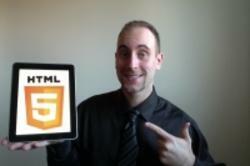 His specialties include Swift, iOS development and Game Development. He has produced over 40 apps and is a Udemy Top Selling Instructor. He has a daughter named Charlotte, and in his spare time he likes to cycle, ski and play ultimate Frisbee. Don't Have a Mac Computer? Please contact us to request a refund on an online purchase. No refunds are available on card purchases. Find us at mammothinteractive.com/contact.